Our Jack Russell is named Sugar and you can guess why. She is so sweet to everyone she meets and has the cutest face we have ever seen. 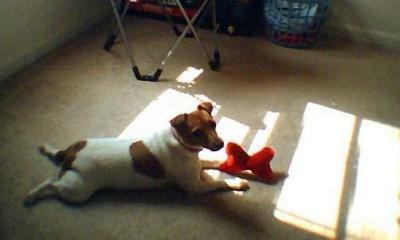 I love the way jack russells lay with their legs all spread out! And what a cute face!